At Kenmore Law Group, we believe all victims of car accidents should be given the fairest treatment possible, regardless of the language they speak. Legal compensation should be available if you were hurt in a car crash, and our car accident attorneys in Sacramento who speak Spanish can make sure you have accurate representation. Car accidents can be confusing and frustrating, and in the heat of the moment and the aftermath, you may be unsure of how to proceed. You could very easily make a mistake that could cost you your case. Fortunately, our Spanish speaking injury lawyers in Sacramento, California, have decades of experience handling car accident lawsuits, and our bilingual team can provide with expert assistance and translation throughout your case. You should always be extremely careful when driving. Even as a defensive driver, you may be hit by other individuals who are careless when they drive. A car accident can take you completely by surprise; you may be hit on the freeway, on residential streets, at the mall, in parking lots, and anywhere else that you drive. If you were at fault, you would have a reduced likelihood of receiving full compensation for your injuries. This may happen if you were speeding at the time of the accident or if you were driving in the evening without your lights on. Many of these causes are the direct fault of the opposing driver. A vehicle defect, though, can be attributed to the manufacturer of the car. You may be able to file a lawsuit against the company that sold the vehicle, but if the driver created the defect, he would be held responsible. You may be afraid or confused after an accident, especially if you do not speak English. For this reason, it is important that you reach out to an injury lawyer in Sacramento who speaks Spanish. Other lawyers may try to take advantage of you, but a Spanish speaking injury attorney in Sacramento, CA, will keep you thoroughly updated and aware of the progress of your case. In order to file a lawsuit against a negligent driver, you will need to prove the four points of negligence of personal injury lawsuits. These points are simple: you must have been owed a duty of care that was breached, and the breach of duty must have caused an accident that resulted in physical harm. If you weren’t harmed, you won’t be able to file a personal injury claim. If you speak Spanish, it may be hard to prove these points. A car accident attorney in Sacramento who speaks Spanish can be of great assistance. In the event that you were not hurt, though, you may not need an attorney at all. You can simply present the mechanic’s estimate for repair costs and pay stubs for your lost wages at work to show how much you should be given. The insurance agent will be much more likely to pay out a settlement for such low amounts compared to the high numbers that can result from medical treatment. The insurance agent will also strive to prove that you were partially at fault for the crash. If you cannot defend yourself properly, he may have the upper hand. This is another reason an auto accident lawyer who can speak Spanish in Sacramento, CA, is important. The insurance agent will consider the injuries you suffered and the impact they had on your life and career and use that to determine how much you should be paid. Severe injuries, such as paralysis, traumatic brain injuries, severed limbs, and internal organ damage, will likely yield a much larger settlement amount than minor injuries, such as cuts and bruises, abrasions and lacerations, dislocations, and sprains. It will be up to an auto accident attorney in Sacramento who speaks Spanish to negotiate a better deal. You will not be able to determine the value of your case until an insurance agent gives you an offer. There are similar car accident cases that could have netted over $1,000,000, but the circumstances in those cases and yours could be completely different. You should speak with a personal injury lawyer in Sacramento, CA. We can ensure that you will receive a respectable settlement offer. Immediately following a car accident, you should take these steps to have the best chance of success with your lawsuit and to stay healthy. Get medical attention. You may wish to call the paramedics or be transported to the hospital. If you choose to go to the doctor by yourself after the crash, you should go as quickly as possible. You may have injuries that do not show up immediately due to adrenaline or other reasons. If you wait too long, you risk losing credibility in your claim. Interview eyewitnesses who saw the accident happen and record their statements and testimonies. Take photos of your injuries, the accident scene, the damage to your car and the other driver’s car, and more. Photos and videos are crucial evidence. Write down the other individual’s driver’s license number, name, phone number, insurance information, and other details you may need to get in touch with him. We will use this information to file a claim with the correct insurance company. If the police showed up to the scene of the accident, you can ask them for a copy of the police report. You may have to wait for it to finish processing before you receive it. Finally, it is important that you call a Spanish speaking auto accident lawyer in Sacramento, California. You may have trouble with all of these steps or you may not know the best way to assemble your evidence package. An experienced Sacramento car accident attorney who can speak Spanish will be able to bring everything together and submit it to the insurance company. You only have two years from the date of the injury to file a claim against the relevant party after a car accident. Waiting too long will prevent you from receiving any restitution at all. The reason it is necessary to file a claim quickly is primarily due to evidence. Eyewitnesses who are called upon again may forget key details, and other things, like photographs, may get lost or corrupted. There are some exceptions to the statute of limitations, however. For one, if you were underage at the time of the accident, you will not have to adhere to the statute of limitations until you turn 18 years old. You may also have been severely wounded and been mentally or physically incapacitated after the crash, so your time limit would be suspended until you returned to functioning health. Additionally, the defendant may have left the state to avoid paying anything; the statute would be frozen until he returned. For more help, reach out to a lawyer in Sacramento who speaks Spanish. We will make sure that your documents are all filed on time and that you do not have to wait too long to get your settlement. Don’t hesitate to file a claim with the help of a Spanish speaking car accident lawyer in Sacramento. If you require an accident attorney for clients who speak Spanish, you have come to the right place. Kenmore Law Group has a team of Spanish speaking car accident lawyers in Sacramento, CA, who have handled dozens of car accident cases throughout the years and who have recovered millions of dollars for clients. We made it a goal to be a bilingual law firm to serve everyone equally. Some clients have called and expressed doubt and uncertainty because they do not speak English, and we seek to assuage those feelings. We will aggressively work to secure you the fairest settlement available, and if the insurance company is being resistant, we will go to court. Reach out to one of our Spanish speaking attorneys that can handle car accident claims for a free legal consultation today. All of our attorneys are available 24 hours a day, 7 days a week, and can give you expert advice. We will also tell you what to expect from the legal process. 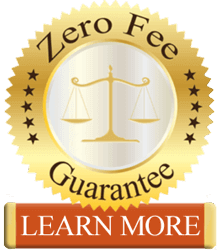 If you hire us, we’ll give you our zero fee guarantee, which states that you won’t have to pay us unless and until we win. You will not even use your own money – the insurance agency will pay for your legal fees; we’ll take a portion of the settlement we win for you. If we lose, you owe us nothing, and we eat the costs of the case. 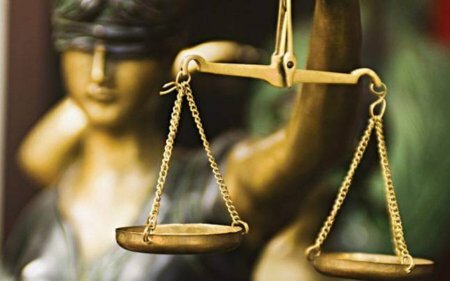 To start your lawsuit, contact Kenmore Law Group where our Spanish speaking attorneys with experience in car accident cases will happily help you.